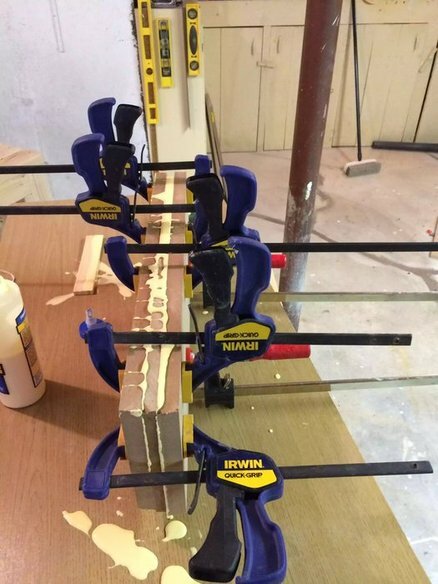 1/2” plywood and 1/2” pipe clamps…. I had the clamps but I only had 3/4” and 1/2” MDF…I Know that mdf is not as strong as plywood but I just spend a small fortune on my workbench I didn’t want a project that cost $$ so I used what I had. I hope you like this design, the only regret that I have is that I purchased a Drill press midway through this project and had already bored the pipe holes through the mdf.. in the future Ill be more prepared.